Within Teamwork Projects, you can set default values on your task list, to be applied to any future tasks added to the list. 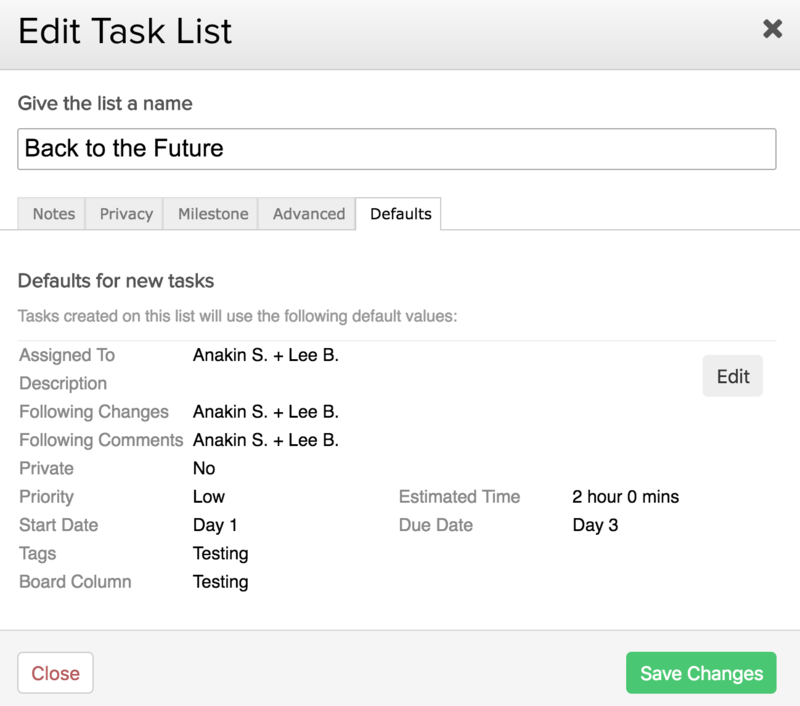 When creating or editing a task list, you can choose the values to be applied under the Defaults tab. Note: Tasks created by email will also inherit the default values unless you specify different values using task-by-email commands. You can also set defaults from an existing task so the properties of that task will be used as the default for all new tasks created in the task list.